In our ‘Underground Knowledge’ discussion group on Goodreads we ask: Do you believe Lee Harvey Oswald was the lone gunman in the JFK assassination as per the US Government’s official story? 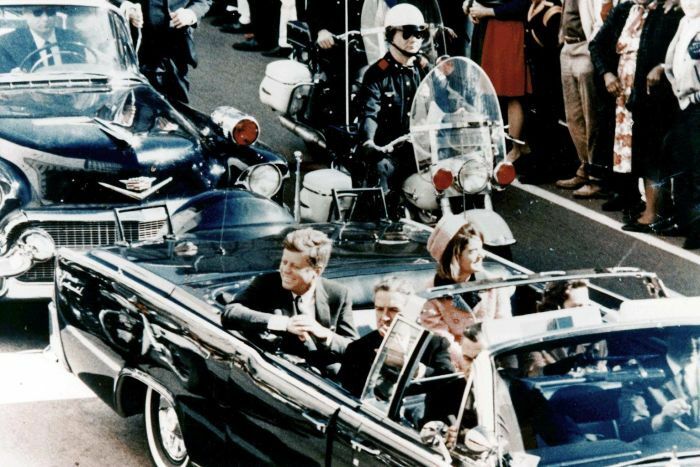 JFK and Jackie on than fateful day in Dallas in 1963. Judging by members’ responses to date, a more appropriate question may have been: Does anyone believe Lee Harvey Oswald acted alone? Who in the world would vote yes to this question? I have always thought that it was one of the Secret Service Agents who was ‘protecting’ him that fired the kill shot. Who else had better access, had a legitimate reason to have a firearm during the incident, and after the first two shots would have a perfect cause to draw their weapon. During the confusion and Jackie’s over the top hysteria it would have been very easy for the agent to fire the final shot, unnoticed. He would not have used his service piece thinking they would be tested – I plead ignorance to knowing if they ever were tested by the Warren Commission. I’ve never read that piece of drivel, figured the government puts out enough propaganda without me going and actually searching for more of it. I can’t understand any “Yes” vote on this one. All the evidence, ballistic, eye witness, logical, and inferential makes this a no-brainer to all but the Warren Commission and the other uninformed. That is merely stating that Oswald had at least one more partner; collusion by two or more being the legal definition of conspiracy. Who were they? Motives abound…The only fault I find in this argument is that by now I would have expected someone to take credit on their death bed…Unless the CIA killed him or them right away. More than 50 witnesses testified at the time of the Warren Commission that they heard or saw a shot coming from that fence area to the front of the president. So that would fit the old grassy knoll theories (but maybe that’s all too obvious, I don’t know). I actually believe That Jackie did it…If you watch the video you see her hand reach behind him and the bullets exit wound comes out of the top. I will attempt to link it… http://www.youtube.com/watch?feature=… At frame 309 you see her arm behind him at frame 313 you see that the exit wound is nearly straight up meaning it came from behind and below. You can also see a silver object in her right hand that she hides within the back seat. Jackie was the poster woman for America and she was loved by leaders of foreign countries. She was considered one of the best assets the US had at the time, from all I’ve read. No suspicion could touch her, and if they were at home alone and she was going to try to claim a gunman came in and attacked them and she was trying to kill the gunman but killed Jack instead or whatever, there would always be that doubt, like we now doubt the government’s story about Oswald. Jackie just could not be tainted, she was too valuable to the government. I want to know the motive of them to kill him. Maybe it was related to the Apollo mission. Our ‘Underground Knowledge’ discussion group is open to everyone! All you need is an enquiring mind, an interest in the world we live in and a desire to learn or to uncover “underground knowledge” on important issues of our times. 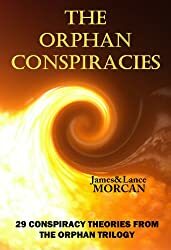 This group is also for like-minded people to discuss the controversial topics explored in The Underground Knowledge series – of which the first book in that series is The Orphan Conspiracies: 29 Conspiracy Theories from The Orphan Trilogy. 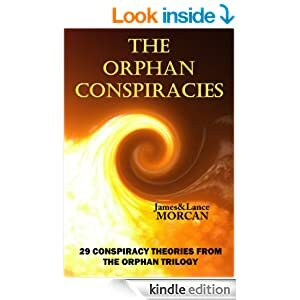 This non-fiction title was written by James Morcan & Lance Morcan with a foreword by leading scientist Dr. Takaaki Musha and an afterword by renowned historian Professor Richard Spence. Less than six months before he was assassinated, President Kennedy had begun formulating a new Federal Reserve Act, which many say would have restored the US Federal Reserve to a fully-fledged US Government bank. President Kennedy went after the Fed. A little-known Presidential decree – Executive Order 11110 – was signed by Kennedy on June 4, 1963. 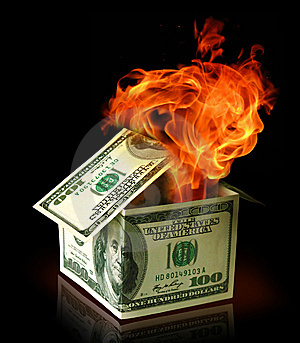 It would have deprived the Federal Reserve of its ability to loan money to the Government at interest. By signing the document, President Kennedy was attempting to put an end to the Fed – or at least the Fed as we know it. Without going into the specifics of Executive Order 11110, it arguably could have stopped the US from reaching its record-level national debt. Instead, JFK was assassinated as we all know. But what is less known is the United States Notes the President had issued as part of the executive order – notes which were designed to replace the Federal Reserve Notes – were immediately taken out of circulation. To this very day, the Federal Reserve Notes remain in circulation as the currency all Americans use. And, of course, what also remained post JFK was a central bank only nominally under the Government’s control. The rumors persist that 9/11 was an inside job: bombs, not planes, leveled Twin Towers; inside traders knew about the 9/11 attacks before they happened; Air Defense was ordered to stand down etc. etc. 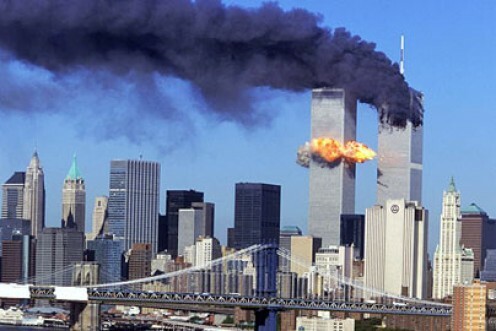 As the rumor mill continues to churn out theories on what happened on that unforgettable day in 2001, we are reminded of an incident in US history that could have resulted in the officially sanctioned murders of countless American citizens. In 1962, the US Government’s Department of Defense and Joint Chiefs of Staff proposed carrying out acts of terrorism on American soil to justify military intervention in Cuba. Hard to swallow or believe, we know, but it’s on the record. Numerous military and intelligence documents recording these disturbing false flag proposals, known as Operation Northwoods, have since been declassified. Operation Northwoods remained a secret for 35 years. 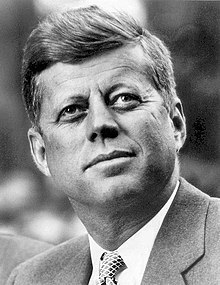 The sinister proposal first came to the public’s attention in November 1997 when The John F. Kennedy Assassination Records Review Board declassified various top secret military records, which included the Northwoods documents. The following year, the National Security Archive published further revealing information on Northwoods. A (since declassified) ‘Top Secret’ memo dated March 13, 1962, addressed to the Secretary of Defense and signed by then-Chairman of the Joint Chiefs of Staff makes for interesting reading. Its subject line reads: Justification for US Military Intervention in Cuba. Operation Northwoods’ plans included the sinking of US war ships, shooting down hijacked passenger planes, killing innocent American citizens, letting off bombs and orchestrating other violent terrorist acts in major cities including Washington DC and Miami. Every event would be blamed on Fidel Castro and the Cuban regime. The Joint Chiefs of Staff’s logic was that these events would help gain enough support from the American public and the world at large for a US military invasion of Cuba. Fortunately, President Kennedy immediately rejected the Northwoods proposal and fired one of its main proponents, Lyman Lemnitzer, who was then Chairman of the Joint Chiefs of Staff. 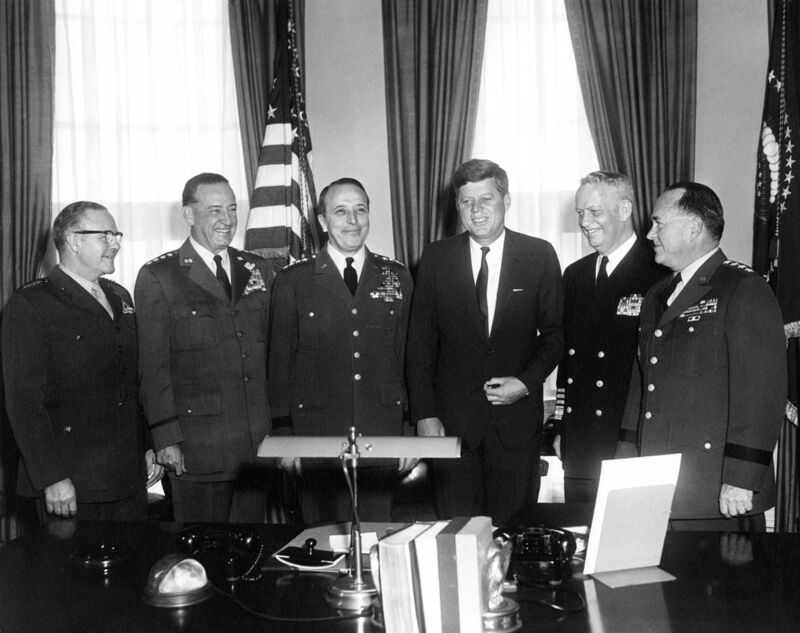 President Kennedy with his Joint Chiefs of Staff incl. Lemnizter (third from left). The following year, Kennedy was assassinated in Dallas, Texas, while Lemnitzer was appointed Supreme Allied Commander of NATO. In his 2001 book Body of Secrets, US political journalist and bestselling author James Bamford wrote that Operation Northwoods “called for innocent people to be shot on American streets; for boats carrying refugees fleeing Cuba to be sunk on the high seas; for a wave of violent terrorism to be launched in Washington, D.C., Miami, and elsewhere. People would be framed for bombings they did not commit; planes would be hijacked. Using phony evidence, all of it would be blamed on Castro, thus giving Lemnitzer and his cabal the excuse, as well as the public and international backing, they needed to launch their war”. Sadly, Bamford is one of the few well-known political commentators to write about Operation Northwoods. When the documents were declassification in 1997, they were almost universally ignored by the media. Apparently on-the-record discussions within the US Government about murdering its own citizens as propaganda to create a war were not deemed newsworthy.